I want to tell you a story. It’s a couple of stories, actually. Part of it is mine, most of it belongs to others. The news recently reported about two people, with vastly different views on the same subject: Special people. One was a waiter at a restaurant, the other a customer. The customer asked to be moved to another booth because the mom, Kim Castillo, in the adjoining booth had her beautiful son Milo with her. Milo happens to have Down’s Syndrome. The customer’s comment, “Special needs children need to be special somewhere else,” might have sounded oh so very witty to him as he uttered it, but it did not sit well with the waiter, Michael Garcia. Kim and her son Milo are regulars there at Laurenzo’s restaurant in Houston. The guy with the rude comment? Not so much. After hearing what the small-minded customer had to say, Garcia told him that he could not serve him. Had I been the waiter, I may have continued to serve him but gosh darnnit hot soup may have somehow landed in his lap. Even if he hadn’t ordered any soup. I’m clumsy like that. I told you that story to tell you this: If you do not have special people in your life, get some. And by special people, I mean people with special needs, be they sweet smiling Down Syndrome kids, rocking that extra chromosome, or adults with cerebral palsy. Although their bodies don’t cooperate with their minds, like yours and mine do, they are fully intact mentally. And they will bless your life. Spending my life surrounded by special and unique people has been an incredible blessing and boon to my life. My older sister has been mentally and physically disabled since she was two years old. Through her I have had the pleasure of meeting the most incredible people in the world. They have much to teach us, and we, as the ‘typically normal’ people, have an incredible amount to learn from them. My youngest daughter was born after suffering a stroke in the womb. Until that point we had no idea that a baby could have a stroke. See? Learning already. She now has cerebral palsy on her right side and is the most determined soul I’ve ever encountered. Our family learns from her daily. 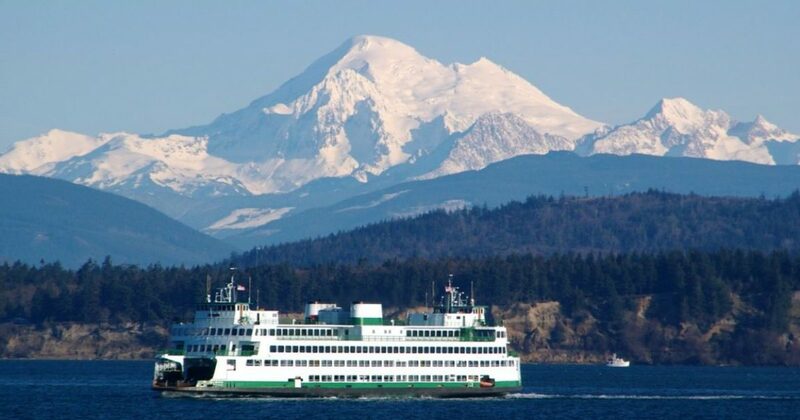 Each December there is a Special People’s Cruise on Puget Sound. The ferry is filled to the brim with special needs people from all over the area. Bands play, carolers sing, gifts that have been donated by good hearted people are given. Last year an adorable couple with Down Syndrome walked arm in arm around the festive ship. The young lady proudly put out her left hand to everyone she passed saying, “LOOK!!! I’m engaged to be married!” as her smiling beau, dressed up in military style and saluting everyone, beamed with innocent joy. And that is what these special people bring into your life if you will let them—joy. Next year I’d like to invite that restaurant patron who said, “Special people need to be special somewhere else,” to his very first Special People’s Cruise on Puget Sound. Perhaps after he is surrounded by people oozing joy and happiness from every pore, he too will come to love them as I do; as many people do. If he doesn’t, then there’s a whole lotta Puget Sound to fall into, if he’d rather not be where magnificent special people celebrate just being alive.